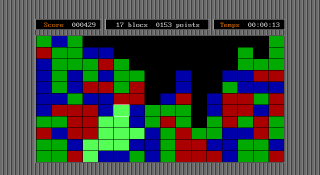 Blocks is a classic game which consists in a grid filled with square blocks of three different colours. All blocks of the same colour, that are horizontally or vertically connected make up a combination. To win, you have to clear the grid by taking out all possible combinations.